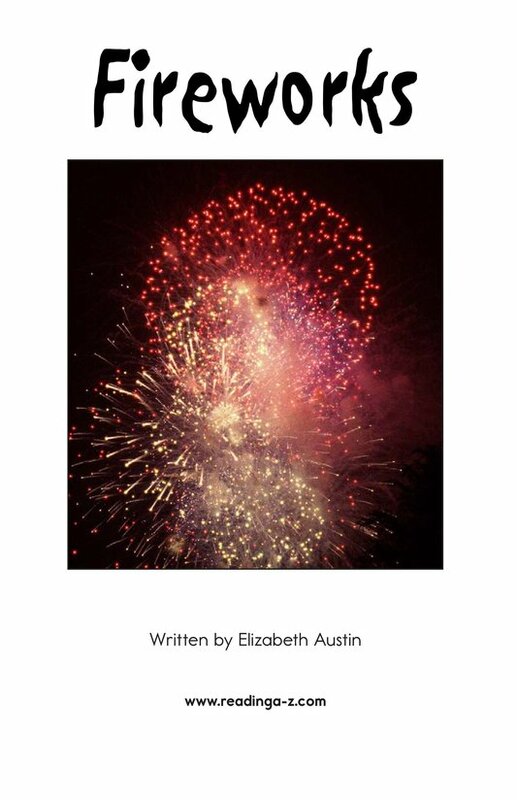 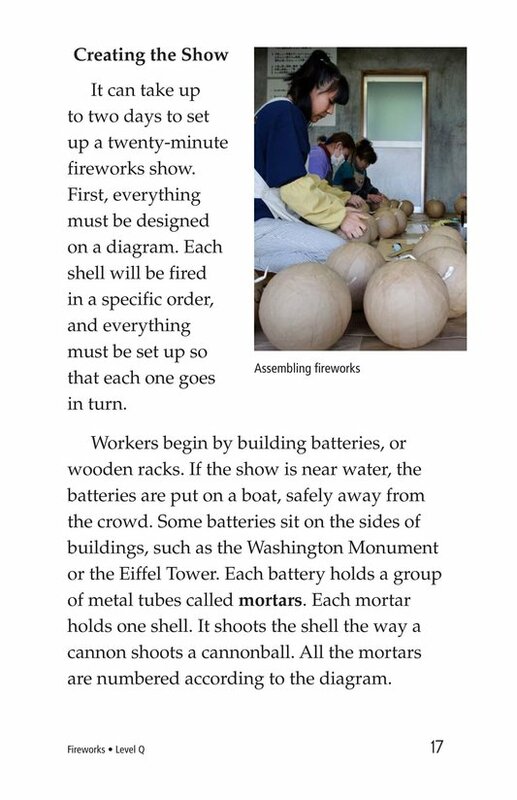 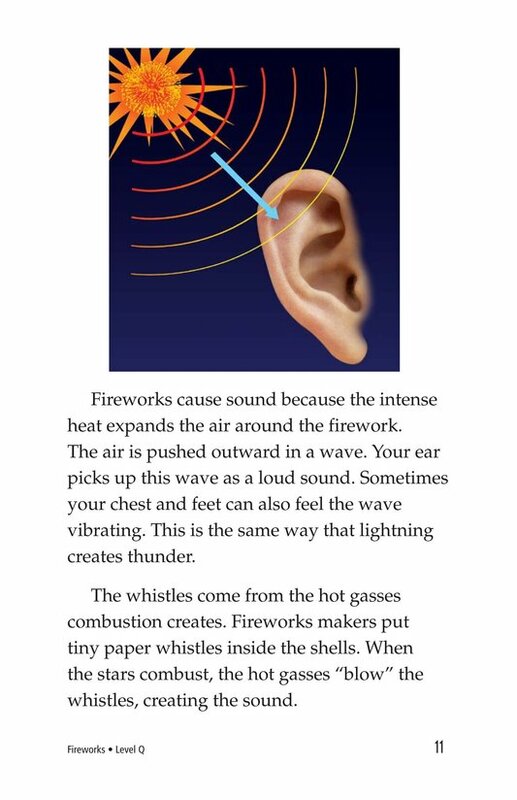 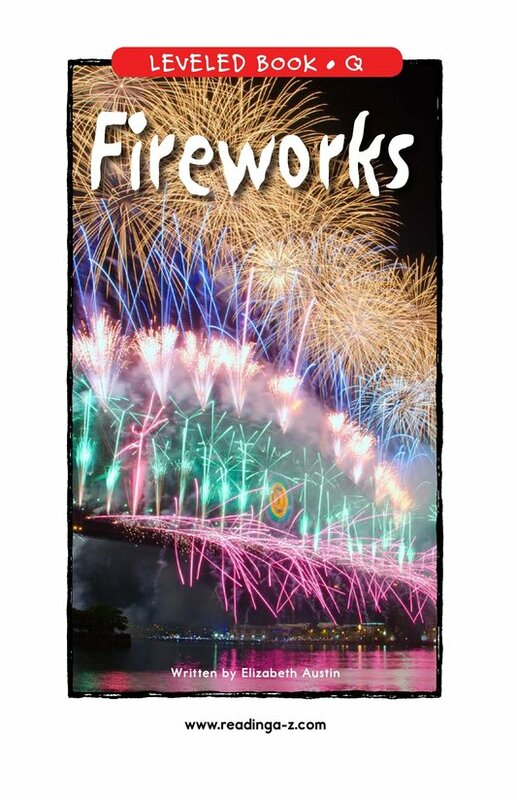 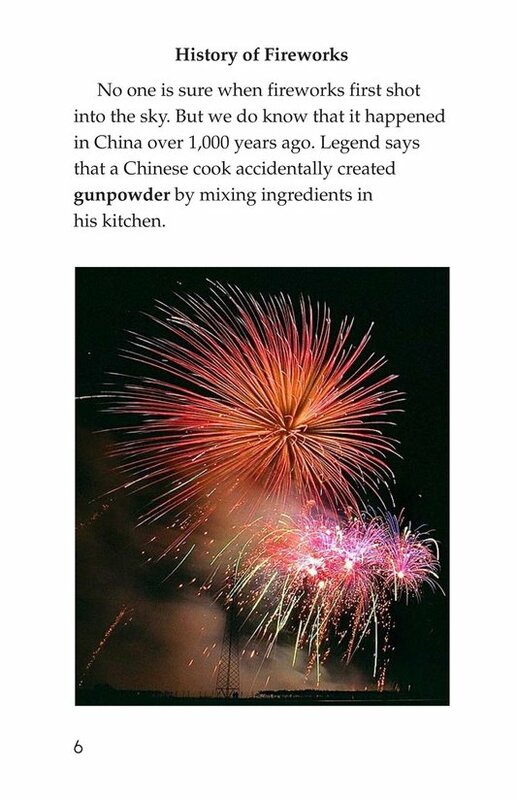 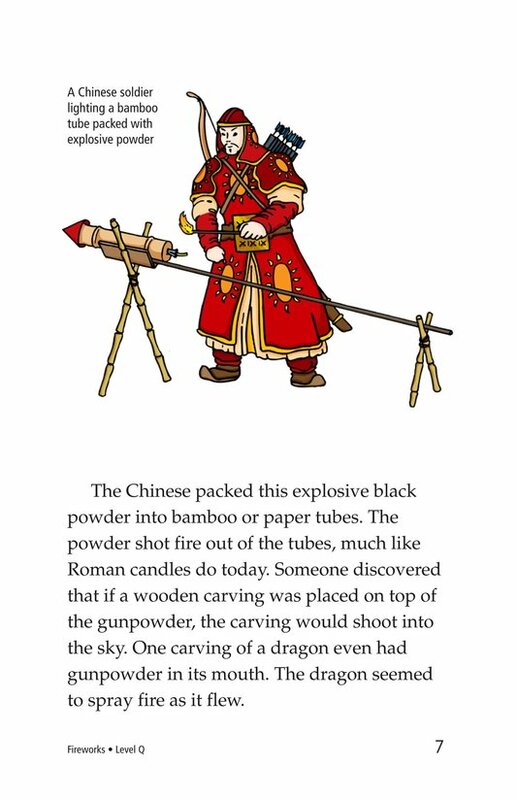 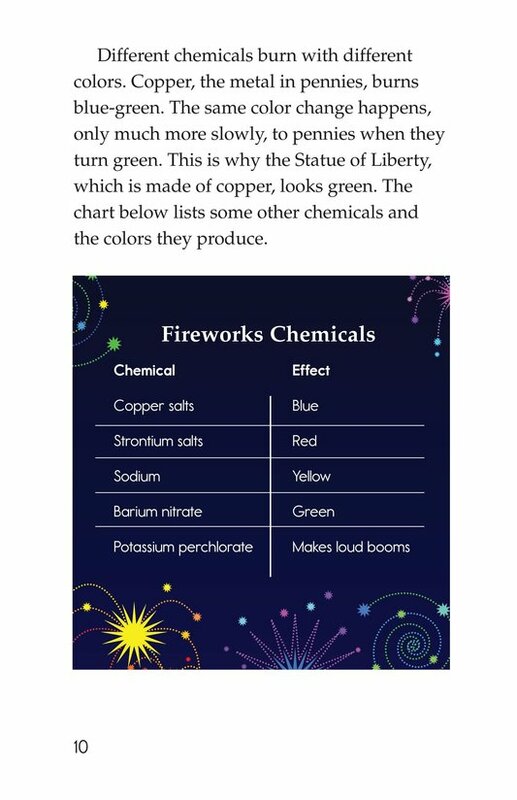 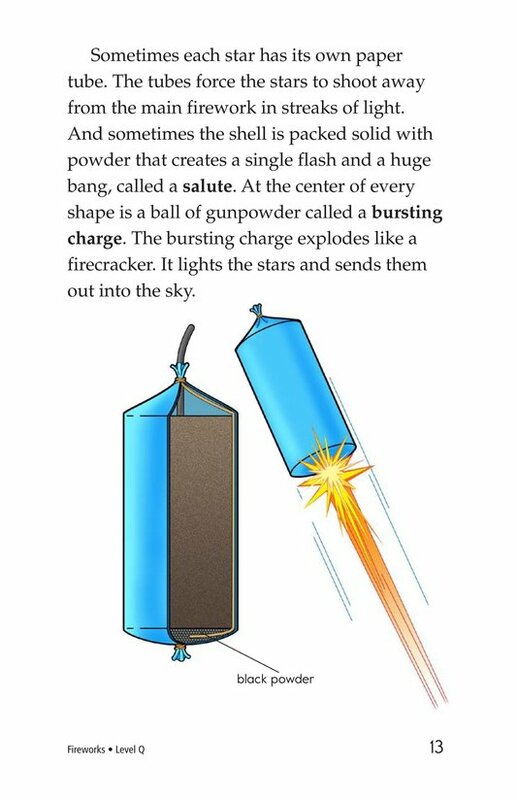 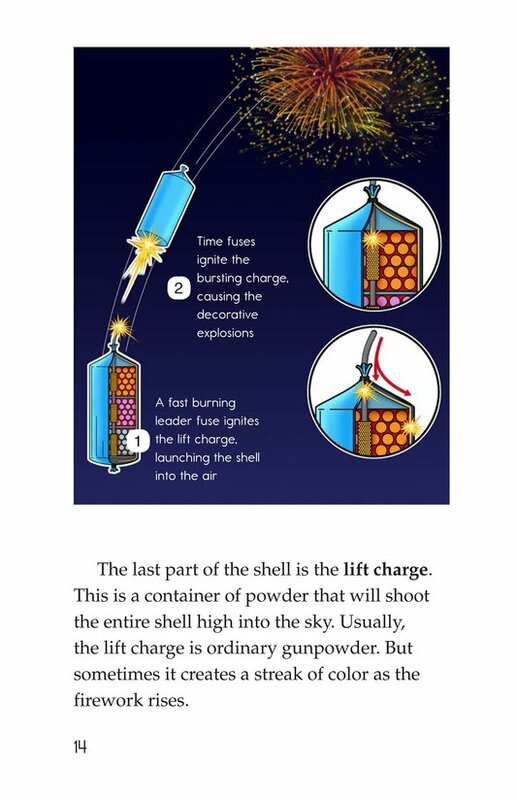 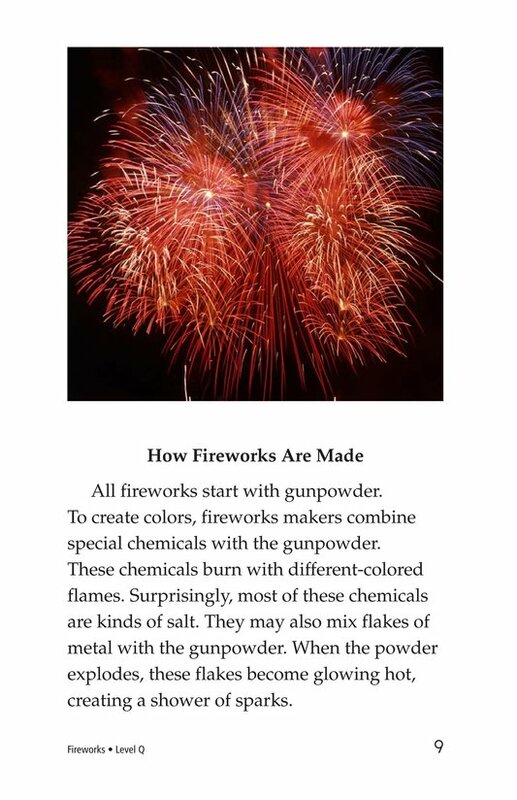 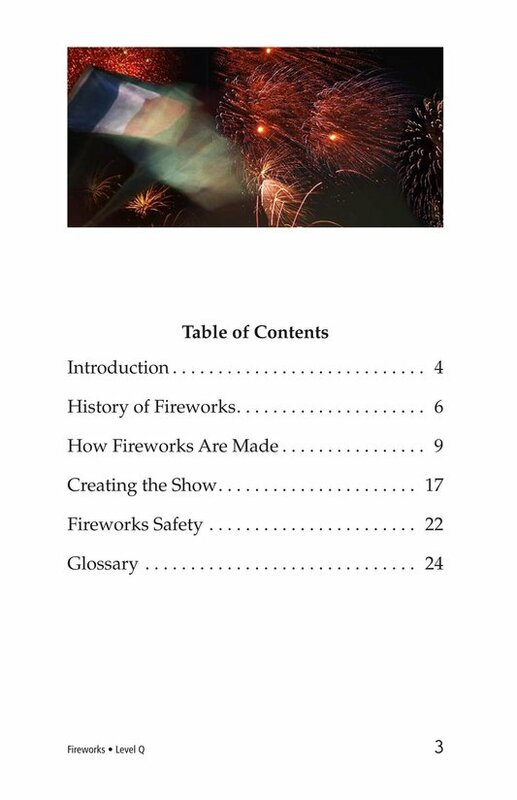 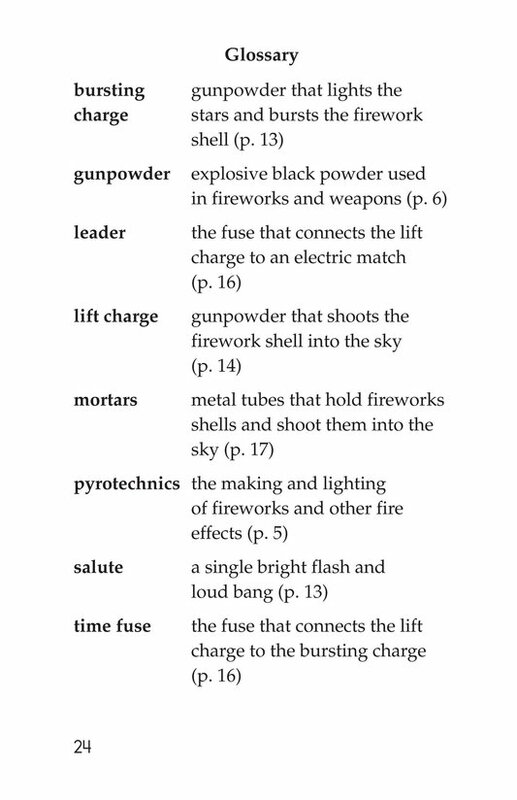 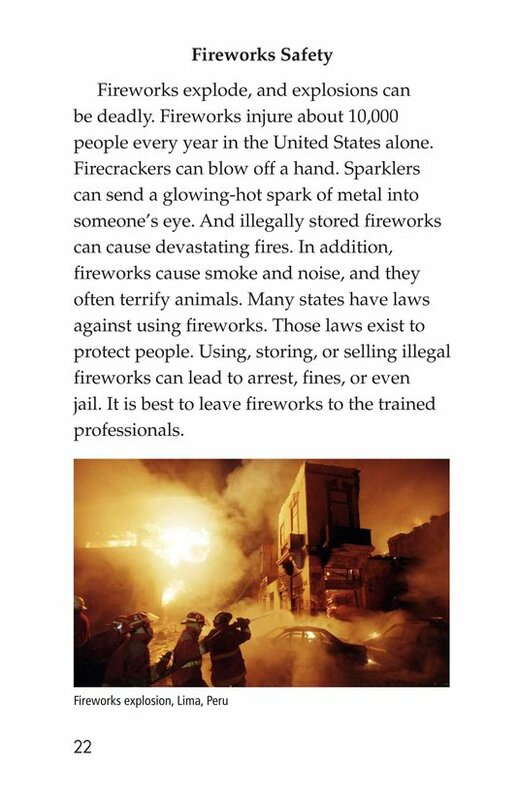 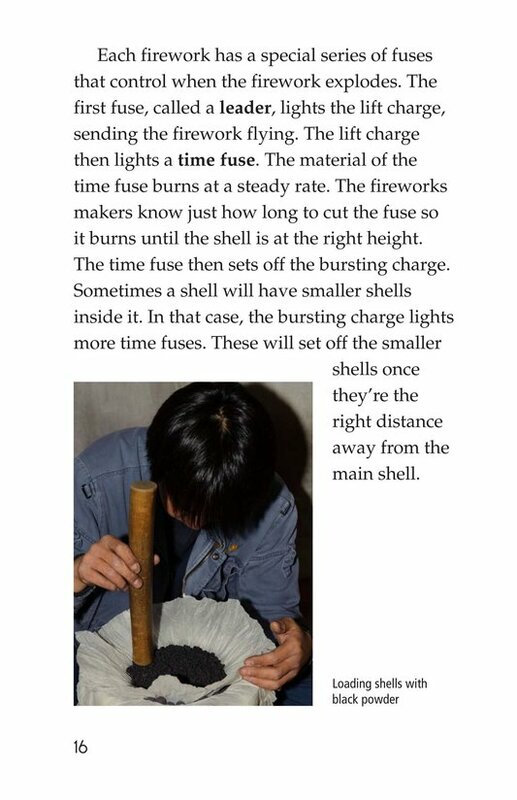 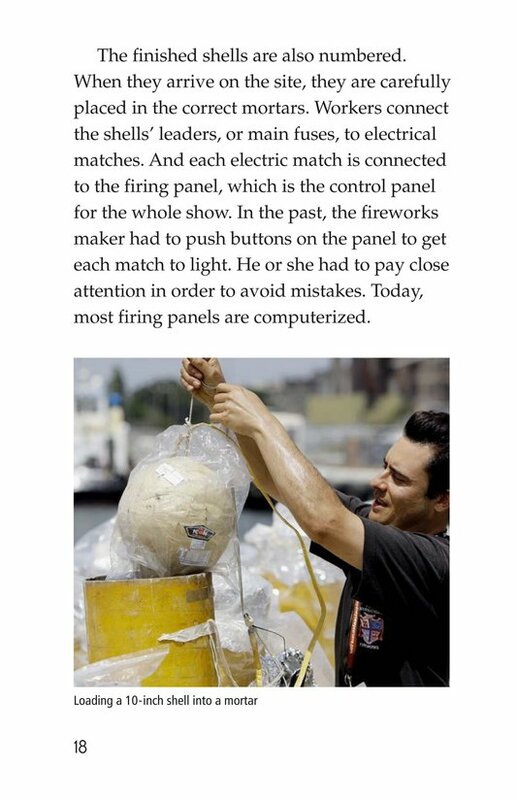 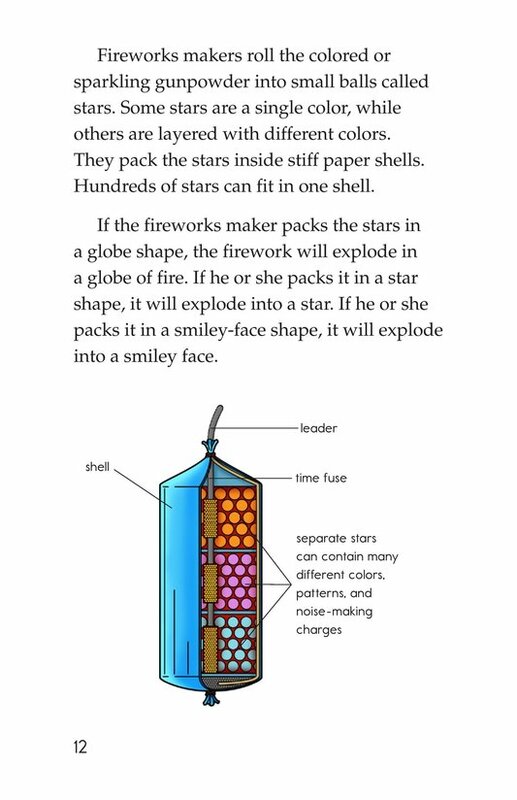 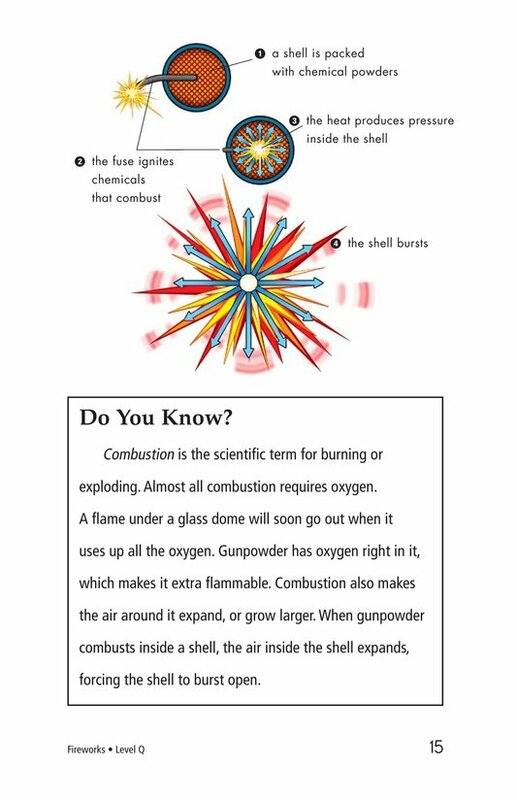 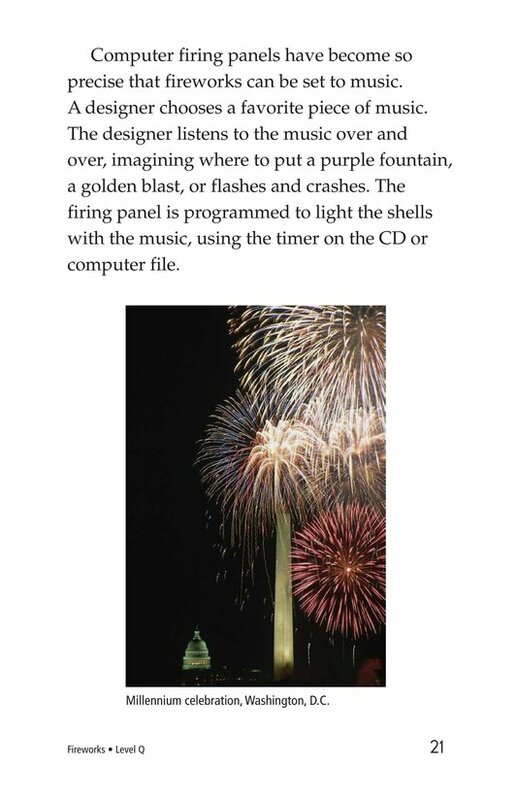 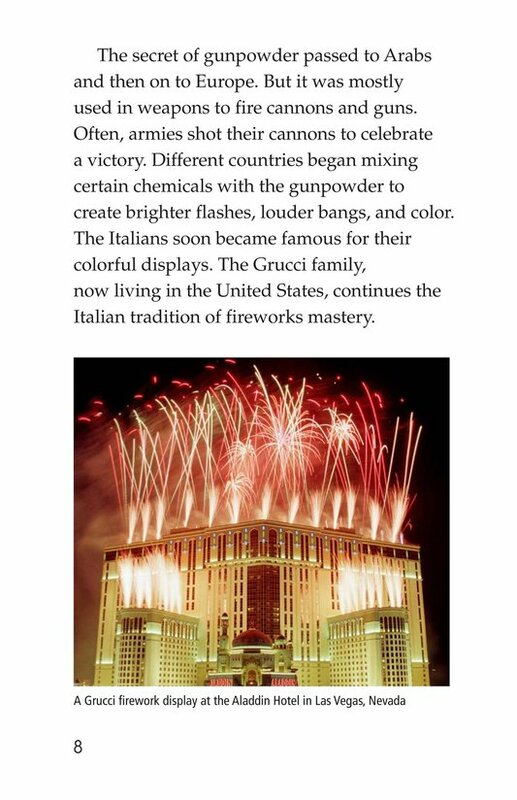 Fireworks is an informational book that details the history of fireworks. 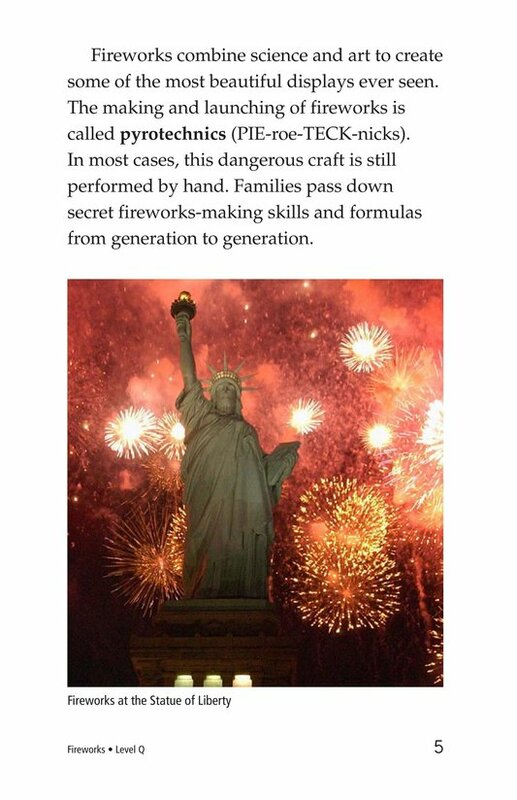 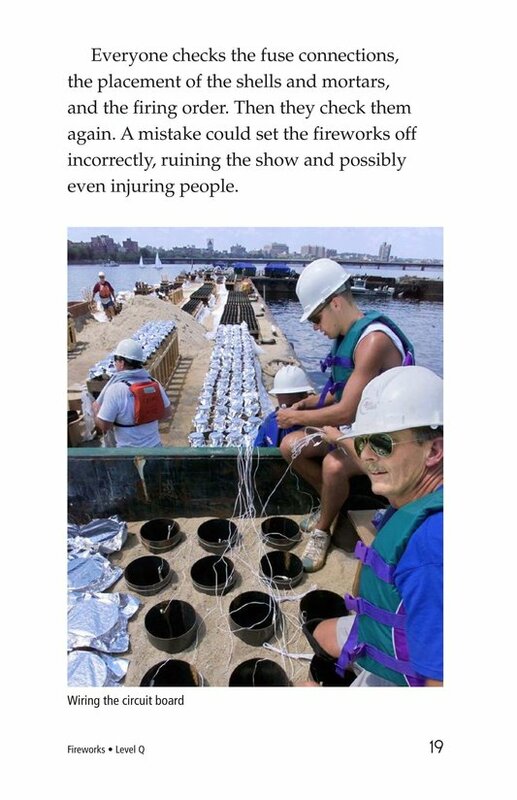 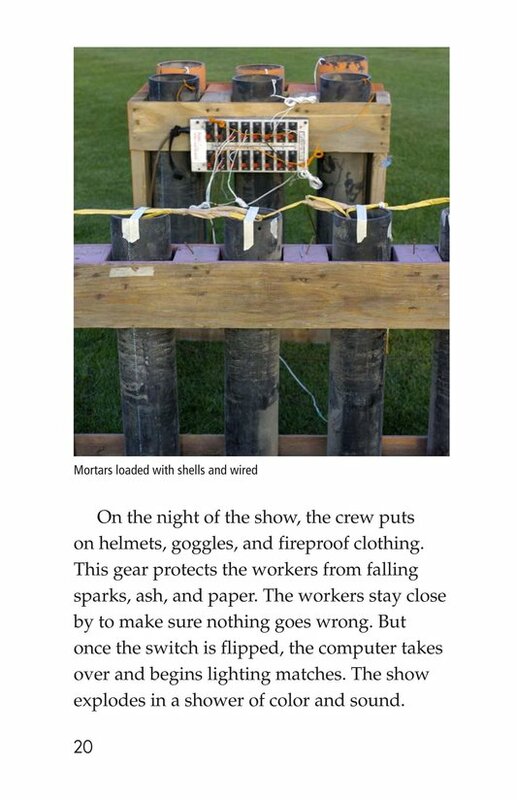 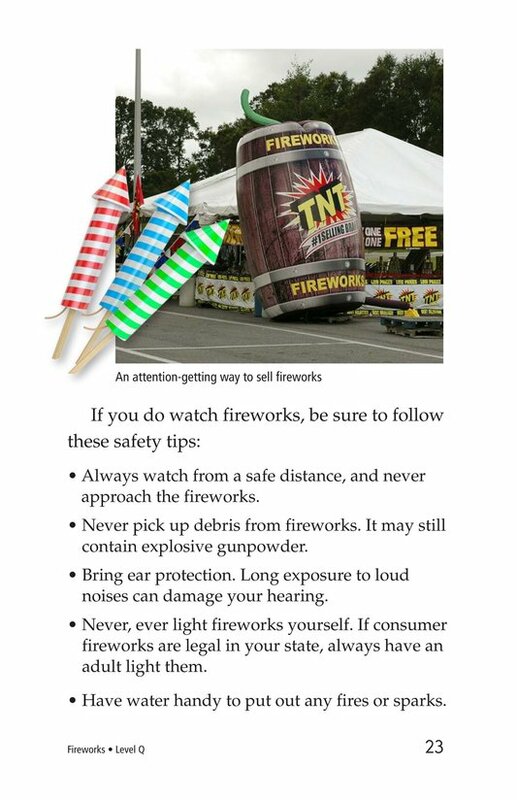 Techniques for making fireworks are included, as well as the planning required to create professional fireworks displays and important fireworks safety tips. 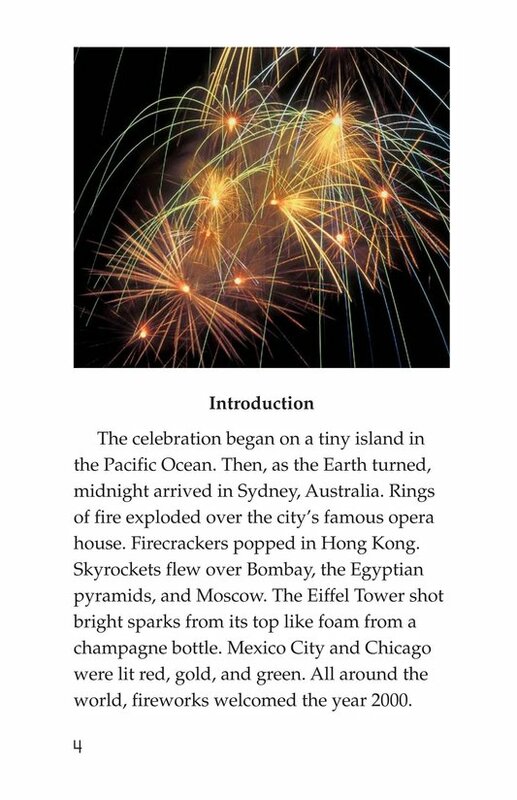 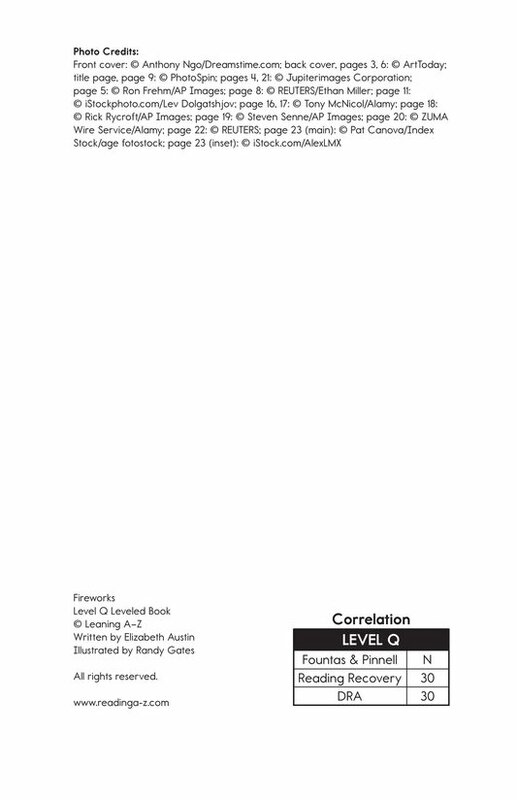 Charts, photographs, and illustrations support and enrich the text.